What questions are on the standard online application my applicants will fill out? Can I add additional questions? 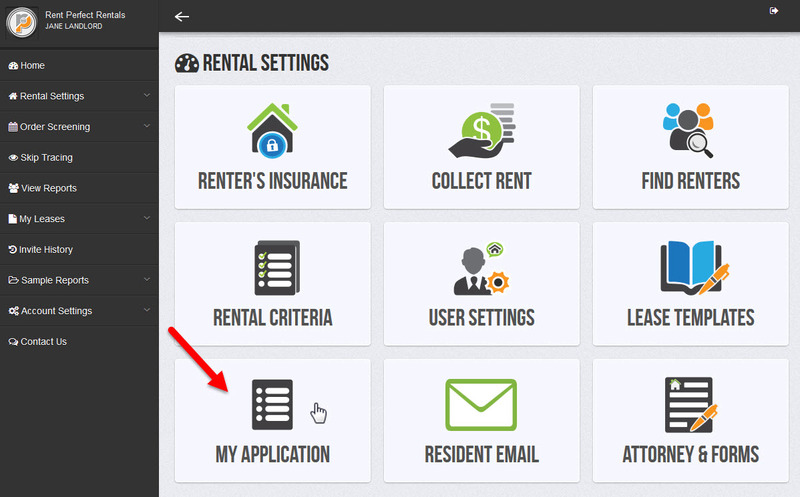 To manage your rental application click "My Application" on the home screen of your Rent Perfect account. The most common questions found on most rental applications are already included on the application, such as personal identifying information, income details, residential address history, vehicle, and pet details. See a detailed list of the questions already included at the bottom of this article. 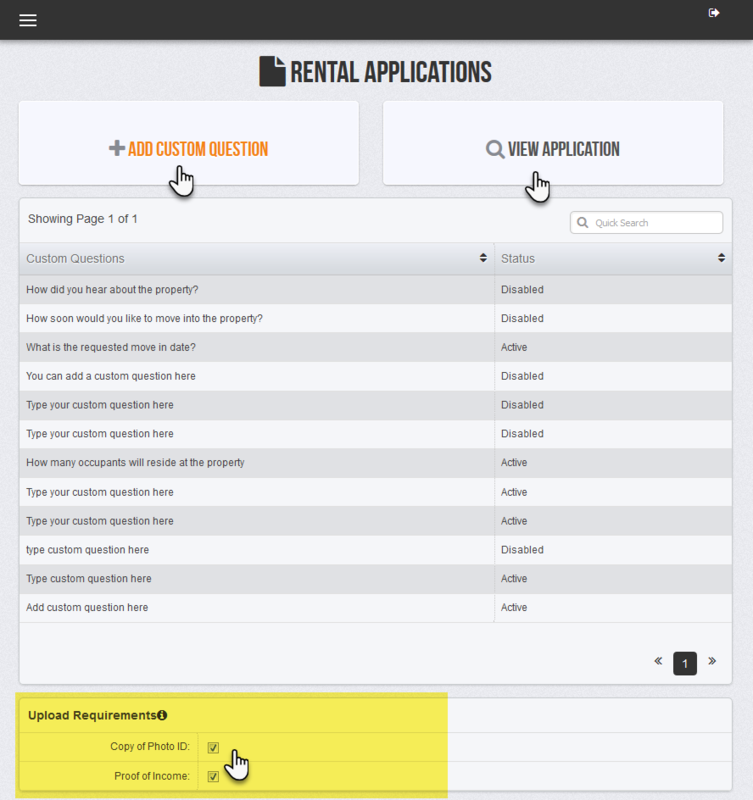 You also have the option to add additional custom questions of your own. Once an applicant answers the standard questions, they will be prompted to answer any additional custom questions on the following screen. We recommend keeping the online application questions strictly to the information you need to qualify a renter. This will help keep the online application simple enough to complete on a smartphone or tablet. To view a blank copy of your application click, "View Application." Too add custom questions click the button, "Add Custom Question." Most landlords require their applicants to upload a copy of their ID and proof of any reported income at the time they complete the application. Check the boxes under the upload requirements to enable the upload requirements settings. If the applicant has a freeze this must be lifted before the authentication questions can be generated. If the applicant puts in invalid personal information on the application the questions cannot be generated. If the applicant has not established credit the questions cannot be generated.